color: SOME SOLDIER'S MOM: My Soldier Called! He remembered my birthday!! It was 6:30 in the morning here... he couldn't stay on long as he was going on a mission (damn... but that's what he does... he's a soldier) but 1SG (First Sarge) said there was nothing more important than calling your Momma on her birthday (they're both good sons!) Made my day!! At my request, I will spend this day planting flower seeds... watch some baseball, and tonight friends will join us as we dine at one of the local casinos so I can drink and gamble a little! I love birthdays... just wish I didn't have to get older to enjoy them! HAPPY HAPPY BIRTHDAY!!! Hope you have a wonderful day. At least it started out great with that early phone call. Nothing more precious than hearing their voice, and we will take those calls no matter what time it is. Happy Birthday! So glad you got that special call. I am also glad that your soldier is okay. Hi and happy birthday. 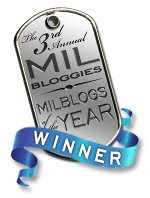 I just found your blog from a link on Blackfive.com. 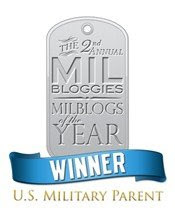 I've been looking for other military mother blogs. My son just joined the army and is almost done with AIT. He has orders to go to Korea in June. It's not as bad as the sandbox but it's far from me. I've started a blog of my own at www.unclesamatemybaby.blogspot.com. It's not much but it's mine. I'm still not brave enough to let my family read it. I'll add yours to my Favorites. Tell your son thanks for what he's doing. That's a tough, tough job.